YNHC is a certified K-12 School Counselor based in Atlanta, GA that provides school counseling services to all homeschooled students & families.  YNHC serves at privately owned academies, charter schools, directly in-home, virtual/online, homeschooling co-ops, or any location of your choice. Services are provided to all families that are actively homeschooling their children or plan on unschooling. YNHC specifically aims to service grades 8 through 12. Your Neighborhood Homeschool Counselor (YNHC) is a certified K-12 School Counselor that focuses on providing support with academic, career planning, and social/emotional development plus more for grades 8 through 12 guided by the American School Counselor Association (ASCA) National Model. While easily mistaken as a Therapist, YNHC does not provide therapy/long-term counseling, however, is prepared to recognize and respond to student mental health needs and assist students & families seeking resources.